Imagine a condition that leads to symptoms like slurred speech and weakened muscles, double vision, with symptoms only worsening with an increase in activity. 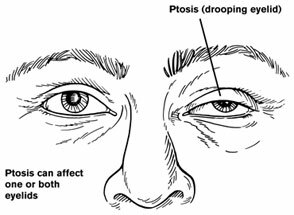 A condition like this is called myasthenia gravis, and it is believed to affect thousands of Americans. This is an autoimmune neuromuscular disorder that mainly affects the voluntary muscles of the body. Persons who suffer from myasthenia gravis suffer from a number of common symptoms that include drooping eyelids, slurred speech, double vision, difficulty in swallowing, difficulty in chewing, muscular weakness, weakness in the arms and legs, chronic muscular fatigue, inability to make facial expressions, problems in talking and even respiratory difficulties. With a combination of these symptoms, it is not so surprising that a person who suffers from myasthenia gravis quickly finds that his ability to work and earn an income is dramatically reduced. If you or someone you know suffers from symptoms of myasthenia gravis, it is a relief to know that the Social Security Administration does recognize this condition as one that is eligible for Social Security benefits. However, the Social Security Administration does have a few requirements, for myasthenia gravis to be eligible for benefits. For instance, the person must suffer from a number of specific symptoms that include respiratory difficulties, swallowing difficulties or significant weakness in the body’s extremities. If these guidelines are met, then the person may be eligible for benefits. If you suffer from myasthenia gravis, medical documentation should be able to prove to the Social Security Administration that you’re eligible for disability benefits. However, even if you do not have the necessary medical documentation, you could still be eligible for benefits. Speak with an experienced Social Security Disability lawyer to learn about your rights.